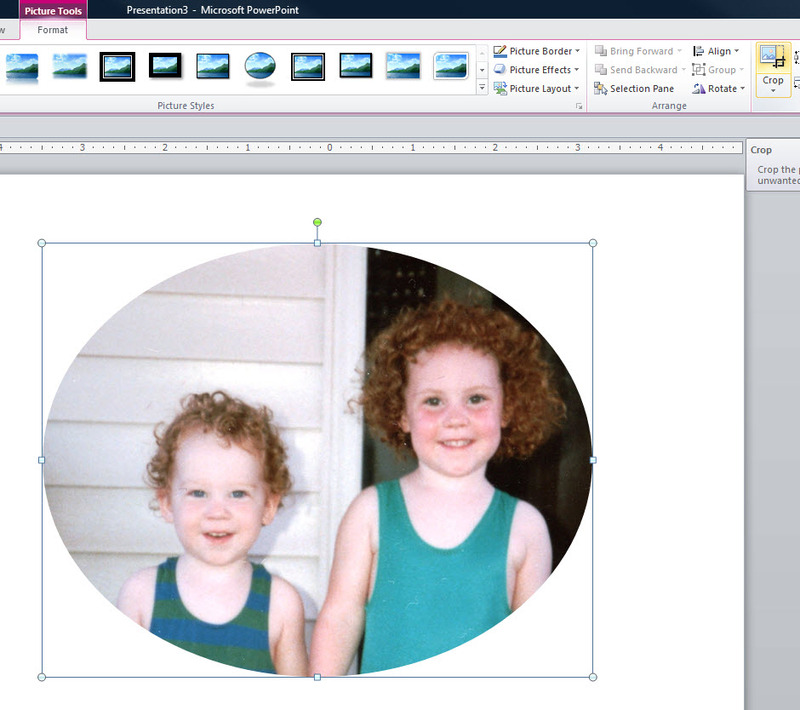 In Microsoft PowerPoint, Crop to Shape allows you to crop an image to just about any shape. In my last post, I cropped faces in photos to circles using the Crop to Shape tool and added them to my PowerPoint book, Who Scared the Crows? Copy a photograph or other graphic and paste it to a PowerPoint slide. Now follow the directions below. 1. 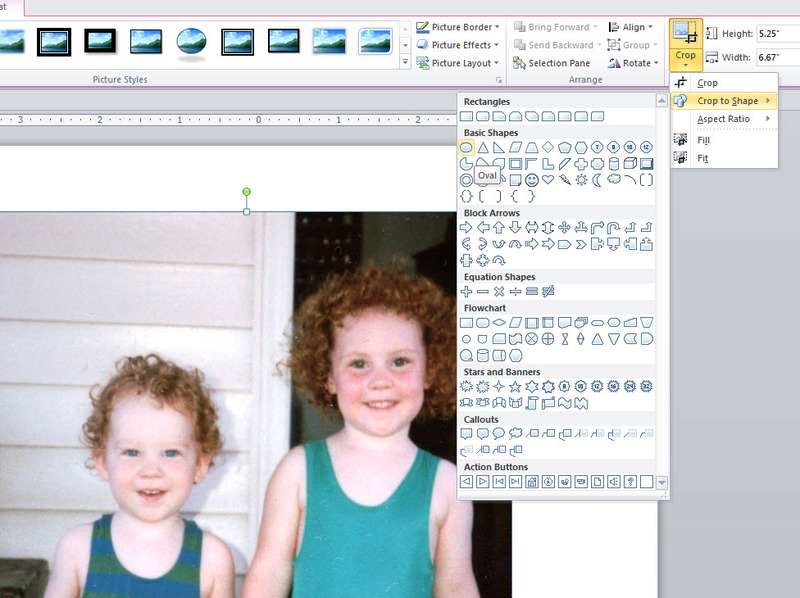 Select the picture and click on Picture Tools. 2. Click on Crop to Shape and choose your shape (I chose the circle). 3. My demonstration picture is now oval shaped so I need to click on Crop to see the crop handles. 4. Move the crop handles until you have the desired shape and picture. Click on Crop in the drop-down menu. 5. Add your picture to the PowerPoint and re-size as needed. 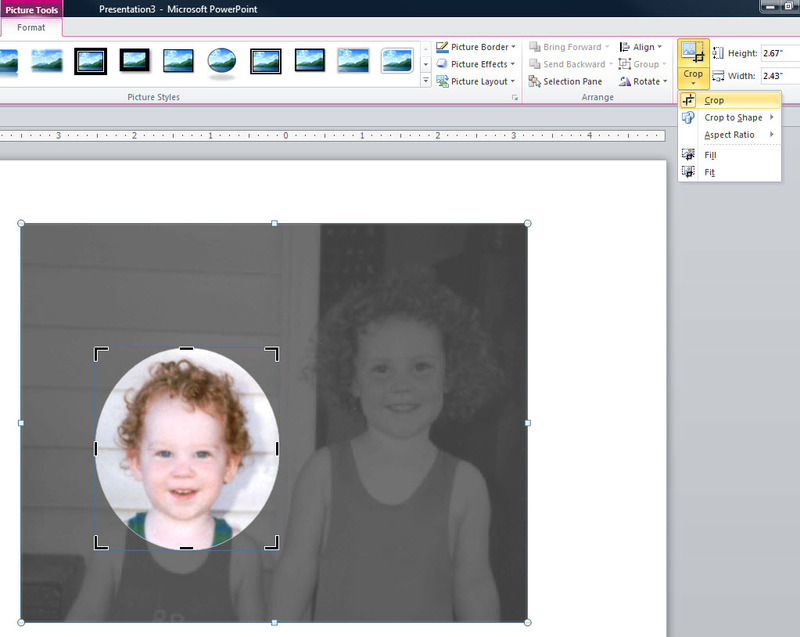 To quickly add many pictures to a PowerPoint before you begin cropping, see my post about PowerPoint's Photo Album Feature.